In the past, and in many dental offices still today, dental restorations were a fairly tedious process. Your first visit would include messy impressions, a numbing injection, preparation of the natural teeth, and placement of temporaries. You would wait a few weeks for your impressions to be sent off to a lab to be created and would return for another appointment for the final placement. You would get another injection, have the temporaries removed, and eventually have the final restoration placed. You would then return for a follow-up appointment to make sure everything is fitting and functioning properly. Are we having fun yet!? Thankfully, modern restorations from Cowan Family Dentistry are strong and durable to last you for many years, and can often be completed in a single visit thanks to our advanced E4D technology! 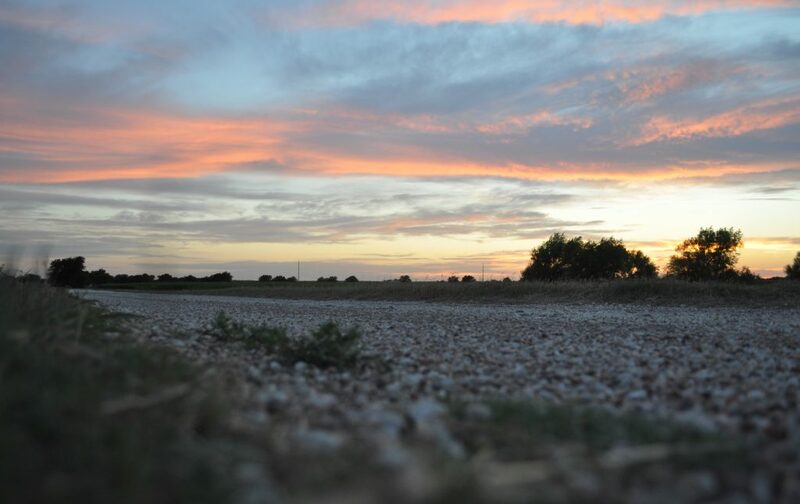 At Cowan Family Dentistry, we believe our patients deserve the best. That’s why we’ve invested in a high-tech E4D milling machine that allows us to digitally design, fabricate and place dental restorations in a single visit! Restore your smile in a single visit! If you have an area of decay that is too large to repair with a filling, or have broken a tooth that may not require a full crown, you may be a perfect candidate for an inlay or onlay. Inlays repair damage contained within the cusp of the tooth (the outer ridges), while onlays are slightly larger and repair damage that extends beyond the cusp.Inlays and onlays are a great option because they prevent the need for removing healthy tooth structure to place a crown. Preserving your natural teeth for as long as possible is our primary goal, and inlays and onlays help us achieve that goal. If you have a tooth that has been badly damaged by decay or injury, we may be able to repair the tooth with a crown. Crowns are tooth-shaped caps that are fitted over any remaining healthy tooth structure to restore the tooth in form and function. Crowns do require the removal of healthy tooth structure to be placed, but they can often extend the life of the tooth indefinitely, and give the patient back their fully functioning, natural looking smile. With the help of our advanced E4D milling machine, we are able to design, fabricate and place dental crowns in a single appointment! If you are missing a tooth or multiple teeth, you may be a good candidate for a bridge. 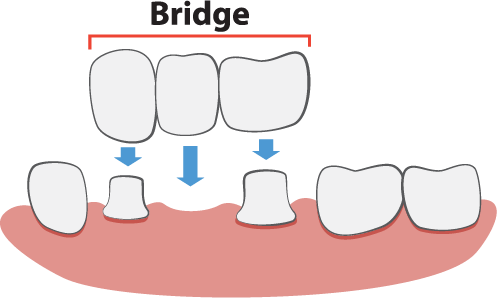 A bridge consists of one or more fabricated teeth to fill the gap and bring balance back to your smile and is secured with the help of crowns on either side. There are several different types of bridges, which is best for you will be determined in a comprehensive consultation with your Hillsboro, TX dentist. While we highly recommend fixed bridges, bridges can also be removable to fit your individual needs. In many cases, we can digitally design, create and place your new bridge in a single appointment with our advanced same day technology. Filling in the gap is essential for patients with missing teeth if they wish to maintain the health and structure of the rest of their mouth. If you are missing a single tooth and are a candidate for dental implants, we would highly recommend a dental implant with a full crown, rather than a bridge, in order to conserve the surrounding teeth for as long as possible. If you are missing most or all of your natural teeth, or living with ill-fitting dentures that don’t stay in place, we would love to help you secure your smile with our modern denture options. We offer partial, full and implant supported dentures to suit your individual needs. Dr. Cowan has helped many patients restore their smile, their confidence, and their quality of life with dentures. Quality dentures allow patients to enjoy their favorite foods again, to speak naturally, and to smile with confidence without worrying about their teeth. If you are a candidate for dental implants, we highly recommend securing your dentures with dental implants for the most life-like fit, feel and function. Not to mention, implants help preserve your bone and facial structure to maintain your youthful appearance for years to come. If you’re missing a tooth or multiple teeth, or are living with ill-fitting dentures that rock and slip, any Hillsboro dentist with your best interest at heart will recommend securing your smile with dental implants. Dental implants are the best solution because they actually replace the root of the tooth, rather than just replacing the crown. Dental implants can help prevent jawbone deterioration, and actually stimulate new tissue and bone growth while becoming a fully fused, fully integrated component of your oral health structure. 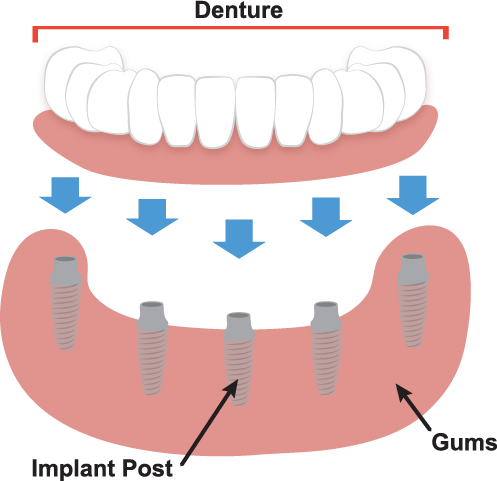 Dental implants can securely anchor restorations like crowns, bridges or a full set of dentures. Dr. Cowan would be happy to refer you to our trusted dental implant specialist in Hillsboro, who we promise will take the same great care of you as we do at Cowan Family Dentistry. Once you have a dental implant in place, Dr. Cowan can create a beautiful, natural, life-like restoration that can improve your smile, your confidence, and your quality of life! If your mouth is in shambles, you know the consequences of oral health go much deeper than just your smile. Your confidence suffers, you don’t show your smile to anyone, you can’t eat without pain and discomfort, and your speech patterns may be affected. It can be difficult, if not impossible, to live a complete, healthy life if your smile is in poor condition. If you’re ready to take the first step in getting your smile back, we would love to be the team to help you. If you have any questions about restorative dentistry or would like to schedule an appointment with your Hillsboro, TX restorative dentist, Dr. Ryan Cowan at Cowan Family Dentistry, give us a call today at (254) 582-9555 or schedule a visit online!